Why do you go to the beach? Is it to soak in the sun and feel the sand between your toes? Is it to play in the surf and feel like a kid again? Or are you more of a naturalist beachgoer, who feels happiest where the land meets the sea? 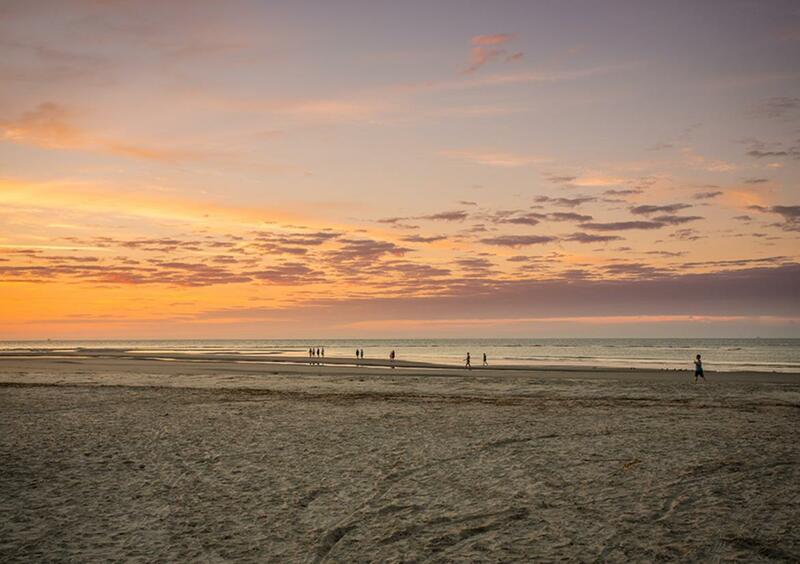 No matter your reason for loving the beach, you’ll find that the Golden Isles has some of the best Georgia beaches and are pretty close to perfect. To help you find the right beach to fit your mood, we’ve created this complete Georgia beach guide for the Golden Isles, broken down by island. From the air, it looks as though the entire eastern edge of Jekyll Island is caressed by one long, unbroken beach. It is. However, from north to south, the character of this sandy strip changes enough to warrant naming individual stretches on their own. 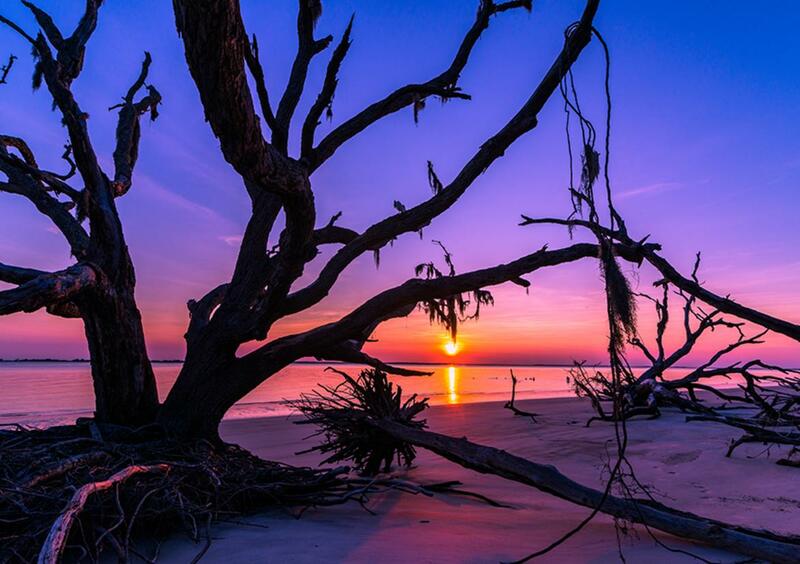 Location: Northern end of Jekyll Island. Ideal for: Nature lovers, romantics and photographers. Amenities: Located at the Clam Creek Picnic Area - restrooms, showers, picnic area, parking area. Pet friendly: Yes. Dogs must be under the owner&apos;s control or kept on a leash. 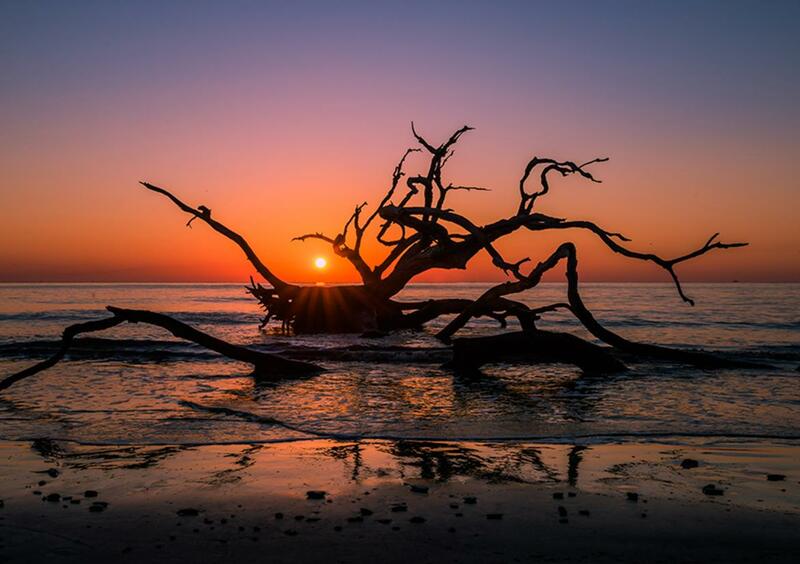 In a nutshell: If Driftwood Beach isn’t the most famous of the Golden Isles’ beaches, it is easily the most photographed. Decorated with weathered, naturally sculpted driftwood, this serene stretch of sand is amazing at sunrise and ideal for romantic dates. Location: Middle of the island, where Ben Fortson Pkwy. meets N. Beachview Dr. Ideal for: Pretty much everyone, including loggerhead sea turtles. Amenities: Restrooms, trail system, picnic area, grills, covered beach deck, bike racks, parking area. 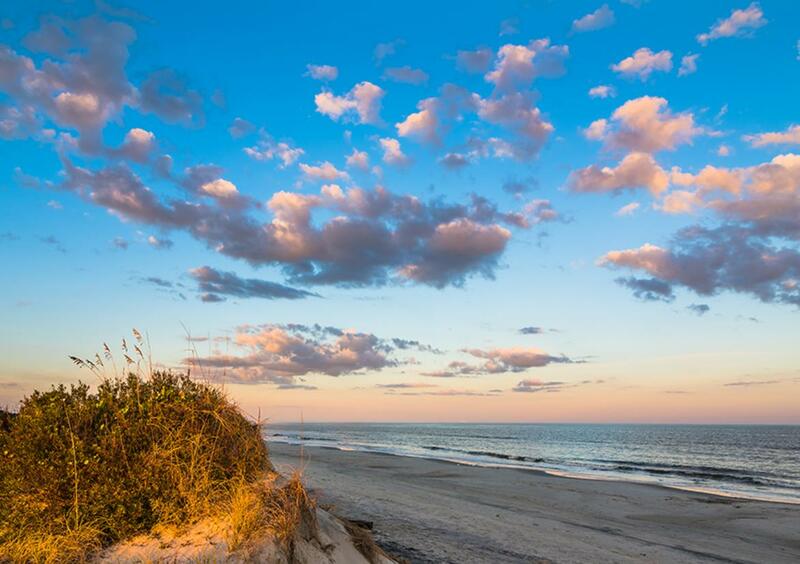 In a nutshell: Great Dunes Park is the epicenter of Jekyll Island’s beach scene. With ample access to the beach and trails, and proximity to a playground, mini-golf course and bike rentals, it makes for an excellent hub. The Georgia Sea Turtle Center also uses the beach here to release rehabilitated loggerhead sea turtles. Location: Off the Glory Beach Boardwalk at the southern end of the island. Ideal for: Wildlife watchers and movie buffs. Amenities: Boardwalk, parking area in adjacent Soccer Complex. Pet friendly: Pets are not allowed. In a nutshell: Used as the location for the penultimate scene in the 1989 Civil War classic Glory, Glory Beach is home to several migratory birds and other wildlife. The views seem to stretch on forever along this less-crowded stretch of beach. Location: St. Andrew’s Picnic area on the southwest-facing side of the island. Ideal for: Romantics seeking a sunset picnic and wildlife watchers. Amenities: Restrooms, picnic area, grills, wildlife viewing platform, parking area. In a nutshell: The only west-facing beach on Jekyll Island, St. Andrew’s Beach overlooks Jekyll Sound and is popular for birding, shelling and dolphin sighting. 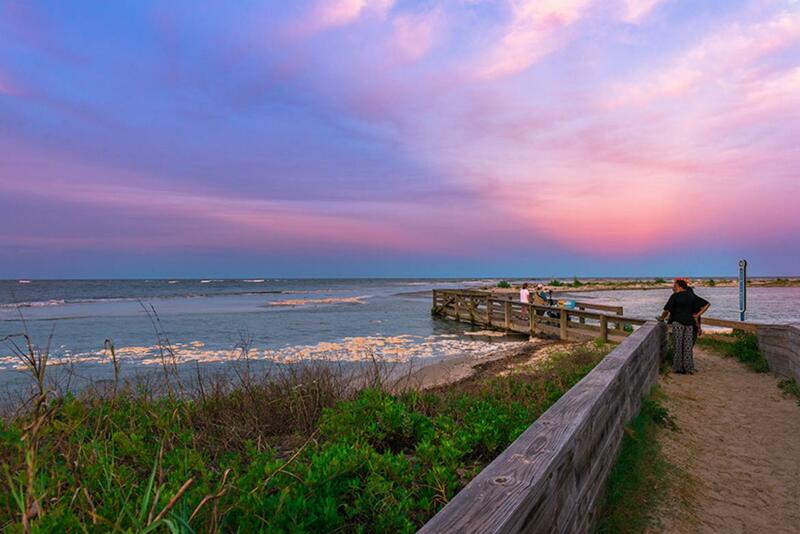 The St. Andrew&apos;s Beach and Picnic Area is a delightful place to end your day. Beach activity on St. Simons Island revolves around East Beach and the three different points to access its golden sand. Location: Wrapping around the southeastern edge of St. Simons Island. Ideal for: Long walks, bike rides, shelling and any other beach activity you can dream of. In a nutshell: See individual summaries below. Location: Northern-most access point to East Beach. Ideal for: Birdwatching and fishing. Amenities: Restrooms, showers, water hose, community water bowl for pets, dog bag station, benches, fishing pier, small parking area. Pet friendly: Yes, dogs are allowed on the beach from 6 p.m. to 9 a.m. from the Saturday before Memorial Day until Labor Day. Dogs must be under the owner&apos;s control or kept on a leash. In a nutshell: With limited parking and less sand than other access points, Gould’s Inlet is a great place to watch for migratory birds and fish off the pier. You can also launch a sea kayak or paddleboard from here to explore the inlet. Location: At the Maritime Museum on First St. 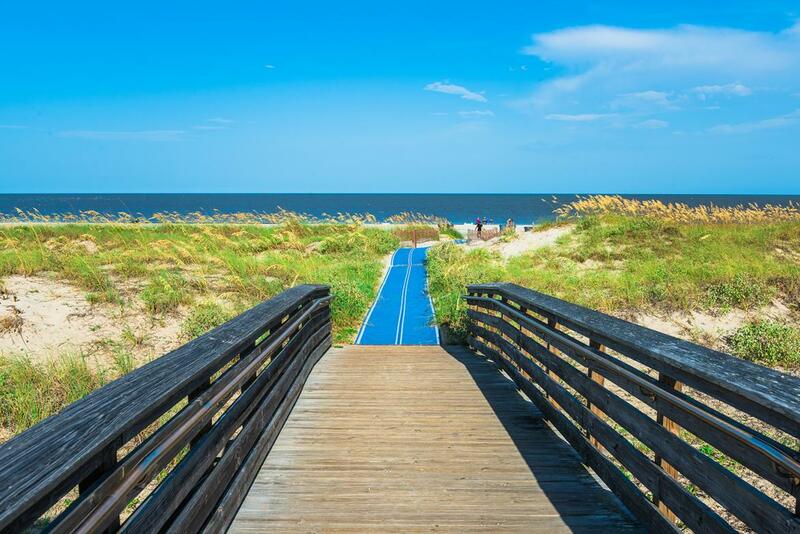 Ideal for: The quickest and easiest access to sand and sun on St. Simons Island. Amenities: Restrooms, showers, water hose, seasonal concession stand, picnic tables, bike racks, parking and drop-off areas. In a nutshell: Taking its name from the adjacent historic building now occupied by the World War II Home Front Museum, the U.S. Coast Guard Station offers ample parking and the most popular access point to the entirety of East Beach. Ideal for: Families looking for sun, and then a little shade for the kiddos to play in. Amenities: Restrooms, showers, picnic tables, grills, playground, parking area. In a nutshell: With its tall stands of trees, picnic area and super fun playground, Massengale Park is a popular East Beach access point for families with young children. 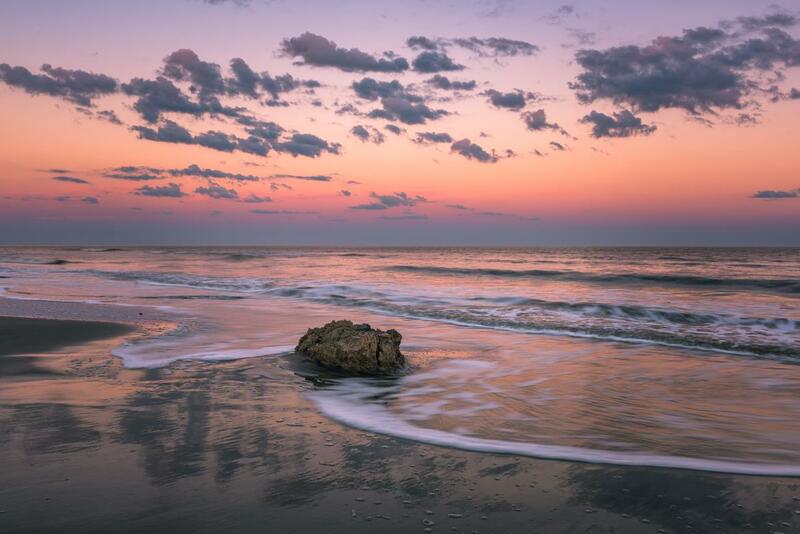 Lastly in our Georgia beach guide for the Golden Isles are the beaches on Little St. Simons Island and Sea Island. These stretches of beach will have even the biggest landlubbers swooning. Draped with gilded sand and backed by elegant dunes, they are as photogenic as beaches come. Access to Little St. Simons Island’s beach is limited to either guests of The Lodge on Little St. Simons Island or those who join the Lodge’s guided day trips. These tours include private boat transportation, a guided naturalist walk, catered lunch and a chilled-out afternoon strolling this pristine stretch of sand. Pets are not allowed on Little St. Simons Island. 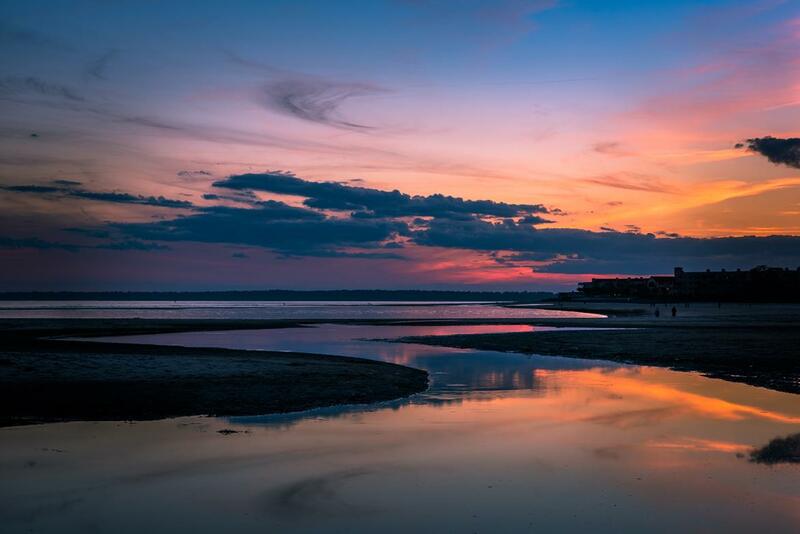 Access to Sea Island’s beach is limited to guests of The Cloister, The Lodge at Sea Island or The Inn at Sea Island, a trio of resorts that have consistently garnered awards and acclaim, such as Travel + Leisure’s “World’s Best” awards. Pets that adhere to the pet policy are welcome at Sea Island. Now that you know some of the best Georgia beaches in the Golden Isles, make sure to check the weather and tide conditions before planning your day in the sun!